can still be yours tonight. bears your name stamped in red. is there for you to accept. as carolers passed your way. too busy with your own day. and eternal life in him? exchanged his life for your sin. Now listen, hear him call your name. Don't let him pass you by. 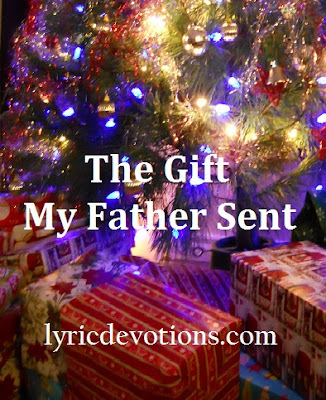 Reach out and take the gift my Father sent! John 1:5 And the light shineth in the darkness; and the darkness comprehended it not. The message in this song is wonderful. I will have to use it at the Gospel Mission when it gets closer to Christmas. People need to think about the Why of Christmas. The reason for the season is Jesus - He was born so He could one day die and redeem us. Praise the Lord for our salvation. I'm curious, do you write all the songs that you put on this site? If so, great job! Rosanna, Yes, I write all of the songs on here. There are a couple that I have collaborated on...I wrote the music for someone's lyrics. Thank you! One day, I'd like to get recordings of all of them...at least piano/instrumental....makes it hard when I don't play an instrument, and the best I can do is plunk out the melody I hear in my head!